I'd like to show off a game engine we've been building in Monogame. The game is a top-down space captain RPG where you play a rogue space captain in a procedural universe full of fully-traversable ships. 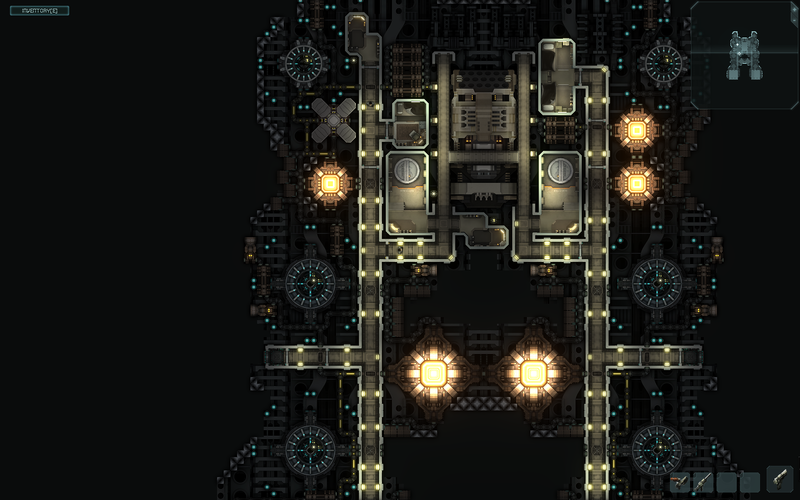 The engine is designed from the ground up to support dynamic instancing of ship and station interiors with complex simulation elements like pixel-by-pixel destruction, fluid simulations for ship atmospheres, AI pathfinding and combat inside moving ships, and complex cellular automata for module power distribution during combat. 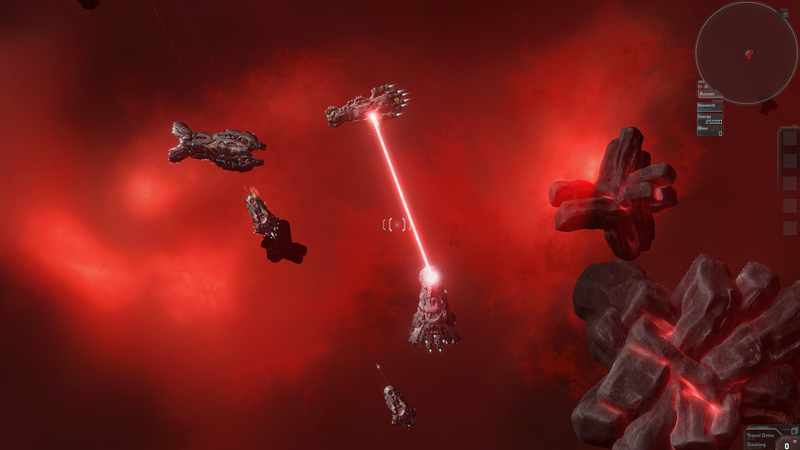 We started the project in XNA with the intent of making a simulation where the player could design their own ship and then take it out to be shot full of holes, set on fire, exploded, or split in half. 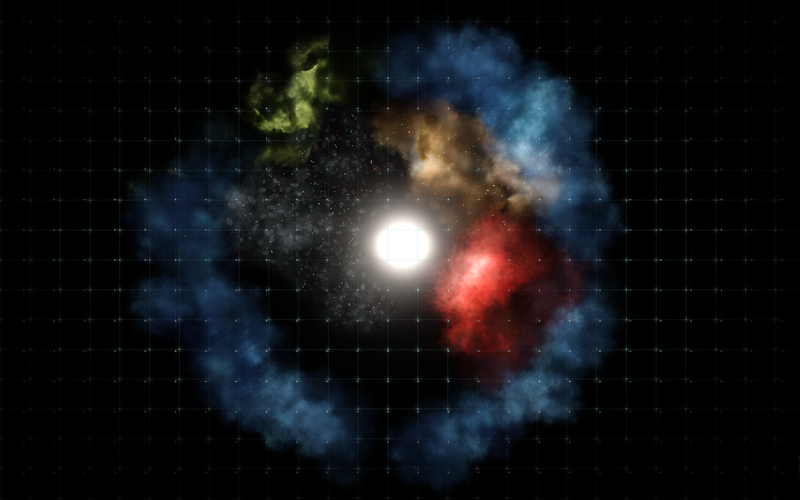 Over time we expanded the simulation to include space stations, an infinite universe, and recently a dynamic economy. As we expanded the simulation and the artwork, we needed to take advantage of modern technology and so we migrated to the Monogame platform. Our universe is both procedurally generated and full of hand-mapped areas which was a unique design challenge from both an art and a code perspective. 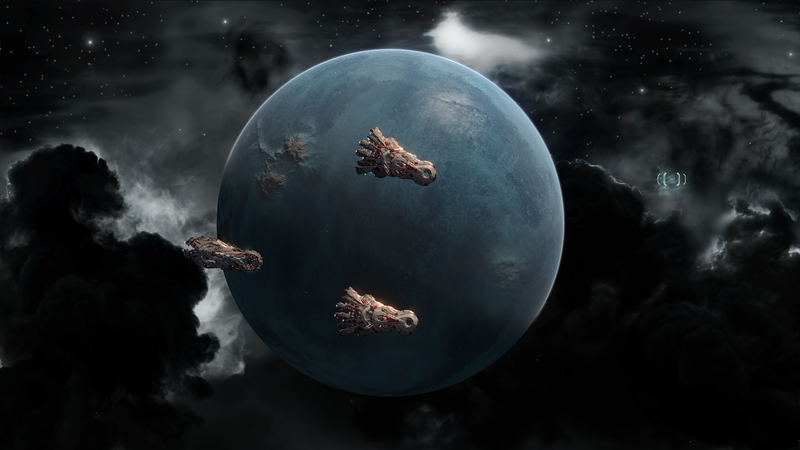 We designed shaders for rendering built-in artwork such as our procedural planets but we also designed custom rendering pipelines which allow external code to render backdrop scenes with full post-processing support. Our goal is to provide a beautiful backdrop for the game that doesn't interfere with the freedom of mod makers, and in many cases content for our game is made using the same API mod makers will have access to. Our most recent update added a ton of content in the form of a dynamic economy. It was one of our biggest engineering challenges yet because real crews and real cargo bays adds an entire world of complexity on top of the normal challenge of convincing AI to buy low and sell high on an open market. There are still some rough edges, but with this update we finally feel like the game is ready to be shown to the masses. If you enjoy space traders or space exploration games, Zero Falls currently offers a wide range of ships to unlock from small fighters, to industrial transport ships, to massive deadly dreadnoughts. You can explore the stars to earn a better ship and unlock research that will allow you to install better modules, or simply remap the entire interior of your ship to suit your needs. ...and of course space piracy has never been simulated better. Shoot holes in the cargo bays from the outside of the ship, or disable them to board them and take the valuable cargo from the inside. Just be careful their captain doesn't have an auto-shotgun on him. Actually first Tier 3 battleship. 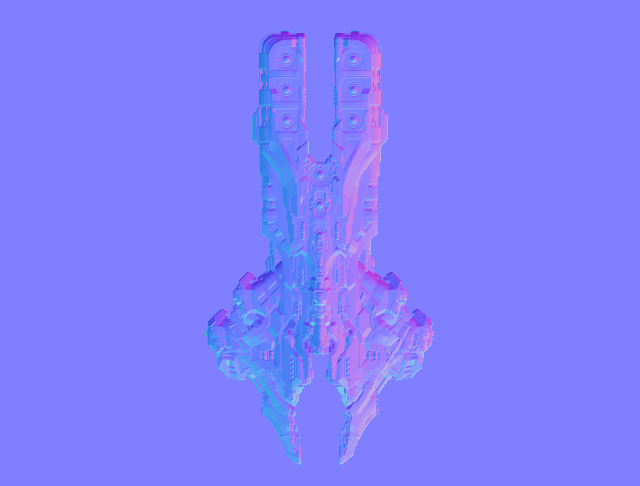 Are ships 3D with a top down view, or only 2D ? Thanks, they are 2D but they are created as 3d model so quality of their normal map is high. Sadly we wouldn´t be able to do per pixel destruction and splitting on 3d model, but we still wanted high visually quality, thus we chose this approach. this is kinda old gif but you get the idea. Cool can't wait to play. One of things we were working on recently. Is there way how to prevent forum from auto upscaling? Reminds me of Alien Breed! @Ravendarke - This is looking great! If you send me a good looking PNG screenshot of the game and a game logo PNG I can add you to the game banner images on the home page of the website. Sorry for late answer, I will definitely do it, we are just changing some things and I would like to wait with screenshot after we done. Contrails were one of last things left from old Wayward Terran Frontier. Finally I figured out how I would like to approach them and turn them into hybrid CPU/GPU solution. Can't afford to right now because of battlefield1 and civ6, but I'm definitely going to be purchasing this at some point. Looks fun! Some small improvements for abandoned stations. Our largest update so far, campaign experience greatly expanded along with large number of QoL, modules, characters, improved interior rendering and fixes.